The secret is out! 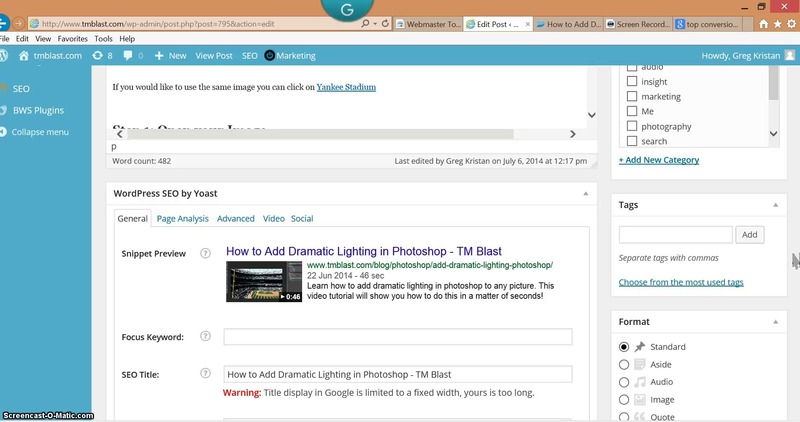 I use Wistia for video and the Yoast video plugin for TM Blast. There I said it! 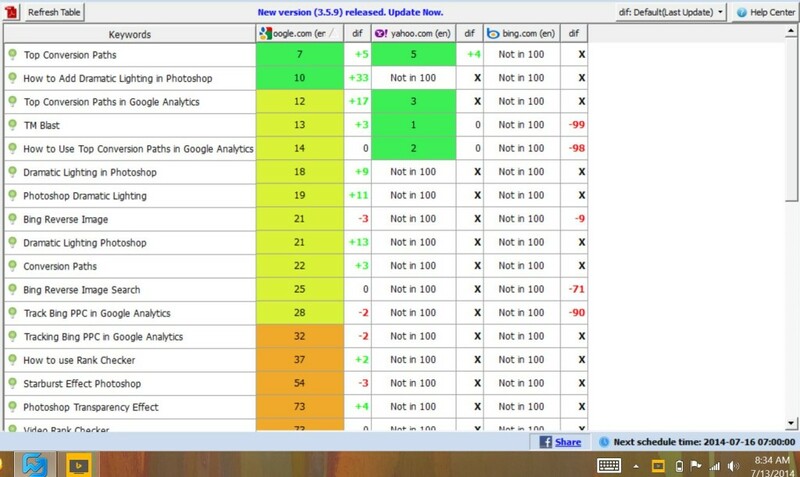 I wish more SEO’s were transparent, but that can be saved for another blog! 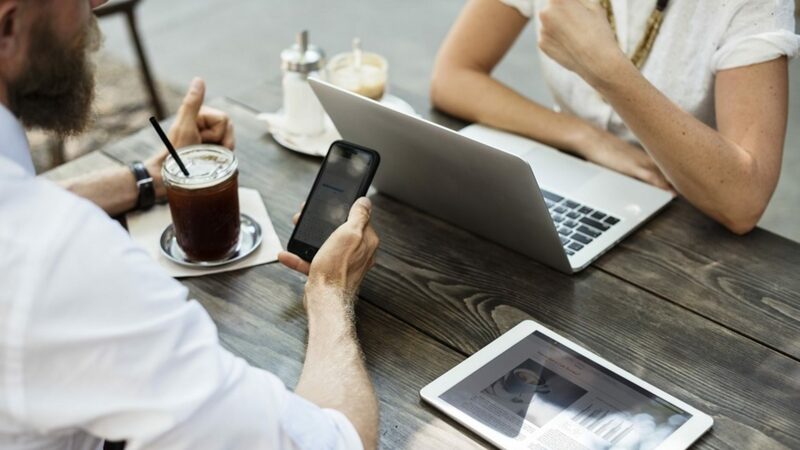 I want to walk everyone through how to use both platforms and be as transparent as I can about how to do this for your website. Below are my keyword rankings that I took from CuteRank on 7-13-2014 just to show you what is going on. As a note, I sorted all of this by Google. The biggest thing I can honestly say is use Wistia. Sometimes I feel like I should just work for them as I tell EVERY single person I know who cares about SEO about them. I usually go on a speech about what it is and how to use it. Wistia is so transparent about what they do which is why I use them. I reach out to them on email and twitter all the time and they get back to me which is awesome. Also, I have watched almost every video on their site to learn about video SEO. The best part about them is just how easy it is to use. All you need to do is sign up for the 3 free videos and you are good to go. 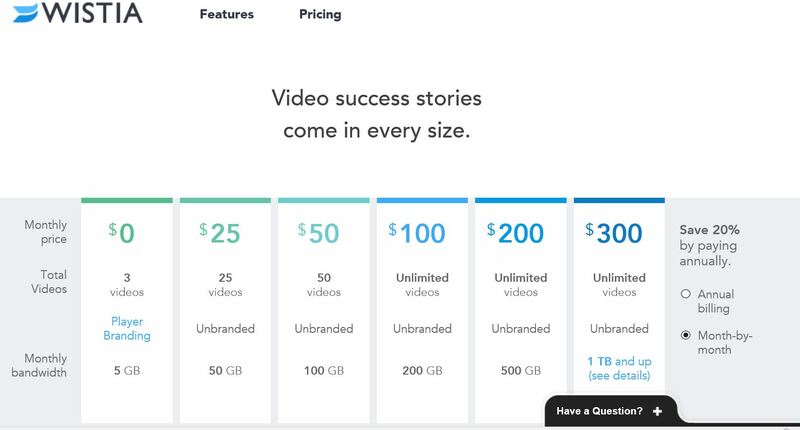 I was a free user, but now pay for 25 videos. Then you can upload any video. Here is what your dashboard will look like once you start uploading videos to it. Where it says project actions you can click on that and go to upload to import any video that you have. Next, you want to click on the video link and customize it. One awesome thing about this platform is that you can change the thumbnail to anything you want. You can even take a picture of something and slap it in there for the thumbnail to increase the CTR of your video. Also make sure that under the social bar you click on the embed video and click on include a backlink! 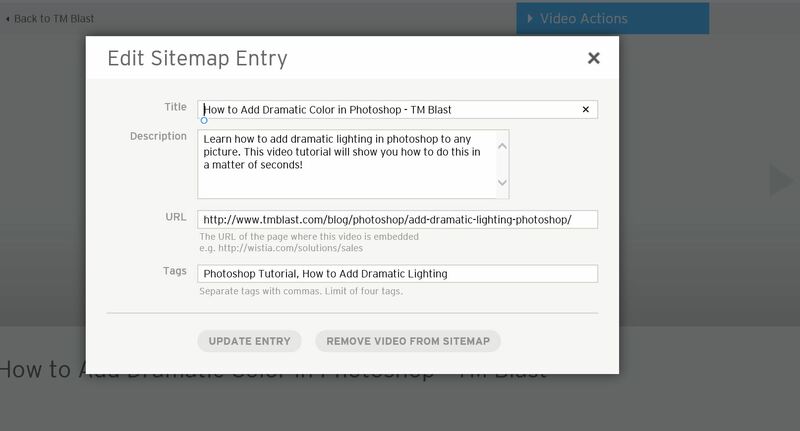 Next we want to go to video actions and click on embed and share. As a note the default will be set to an i-Frame. 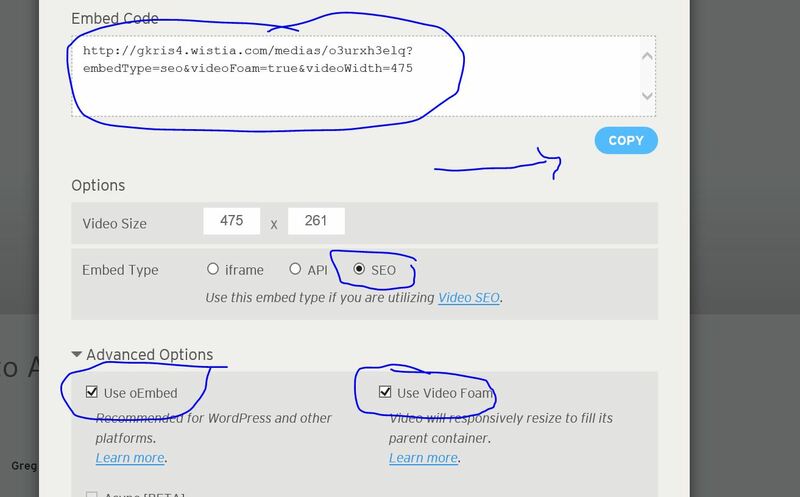 We want to set the file up like this (if you are not using wordpress don’t click on oEmbed.). Basically what this does is that this video becomes a readable file to search engine spiders. The foam box clicked off means that this video will always be in a responsive design so it works great on tablets and phones. The oEmbed is specially for using wordpress. Now we want to optimize this video. As a suggestion I actually upload my video first and publish the page just to let search engine spiders know this video exists on this page. 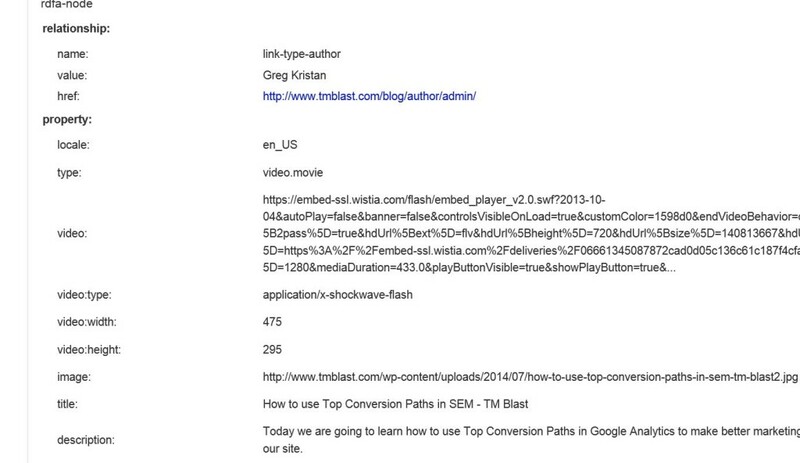 That way it gets added to both of my video Sitemaps and that is all good. Then I go in after and write the title tags and descriptions. 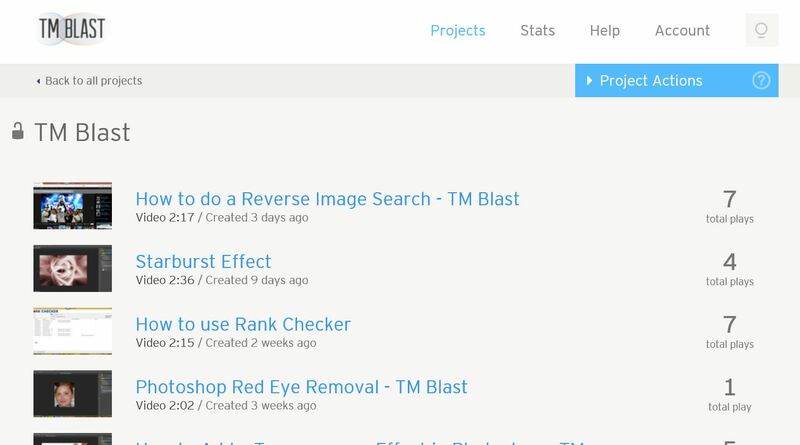 Wistia will dynamically change this from the back end for the spider bots. You need to click on video actions and go to Edit SEO Sitemap Entry. Once you are here you can write all of your information about the video. Be sure to include the URL! Another pretty awesome feature is the ability to see the stats for your video. 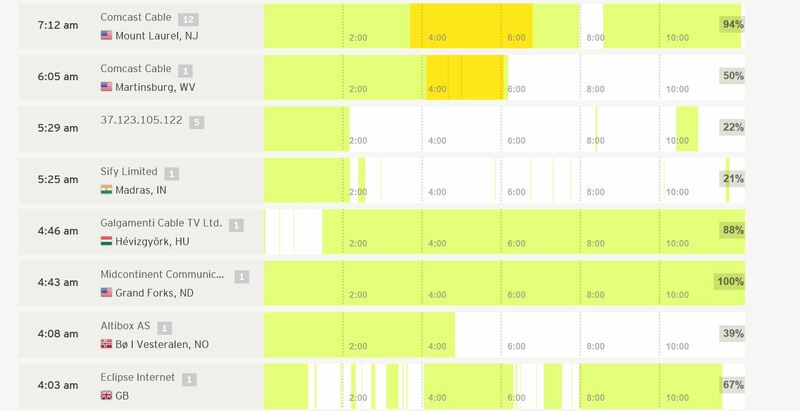 You can sort the data by highest engagement, most views, most time watched, and more. You can then click on individual videos and see the audience retention for them. This is really good because this will allow you to see where you lost engagement or kept your users. The orange color shows repeated views. This means when a user paused or replayed a certain section. Like most of us, we usually skip the boring stuff and replay the interesting stuff. This is good for marketing as this could of been something that was confusing that we said that had users go back to it or something very interesting that they came back to. Either way, seeing the data like this helps makes better decisions. Regardless, you want to download this plugin and Yoast have very clear steps on how to do all of this. I am not a developer and I was able to figure out so there you go. The best part is that once you have downloaded the plugin you will notice on the left side of WordPress your SEO tab just got expanded. Next we want to tie in Wistia with Yoast. Notice now that I have added that one line of code from Wistia on my wordpess site. Notice how that rich video snippet automatically appears! A great addition that gets no credit is how Yoast will mark up my page for me. This is great because hardly any sites use schema. Once I publish my video and all Yoast will automatically generate the tags around my video. Every now and then though I will go into webmaster tools to add more markup, but this is what it looks like below. As a summary, this works for me. I have worked in the SEO field for a bit now and I love trying out new strategies. I like this so far the most as I feel like I am writing to myself. I love video tutorials and I love to learn. I learned Photoshop and SEO from videos from others. Now it is my turn to help out people.